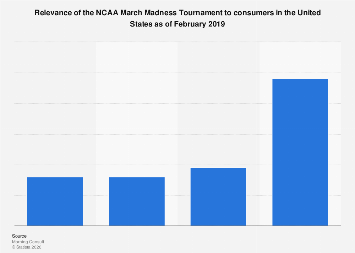 According to a survey by human resources consultancy Robert Half, around half of U.S. employees are potentially distracted by the March Madness college basketball tournament starting tomorrow. 49 percent of employees admitted in a survey to being distracted at work by sports in general. 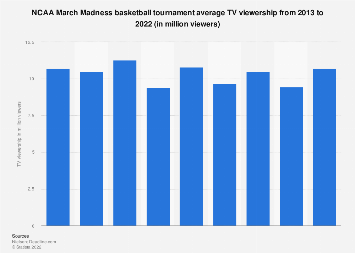 Surprisingly, managers are not extremely worried about this kind of behavior during March Madness, when many workplaces organize their own bracket competitions. More than half thought that college football improved productivity and 72 percent said it improved employee morale. 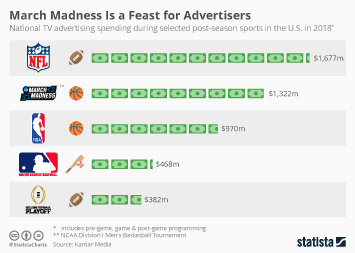 The most common way to celebrate March Madness was to engage in bracket and other competitions, followed by the wearing of team apparel. Fewer managers said their employees were decorating or watching games during working hours. 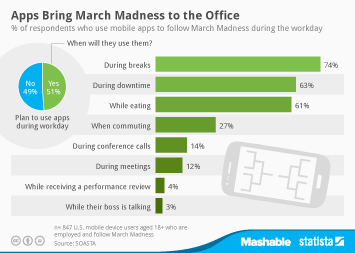 This chart shows survey responses about March Madness in the workplace.